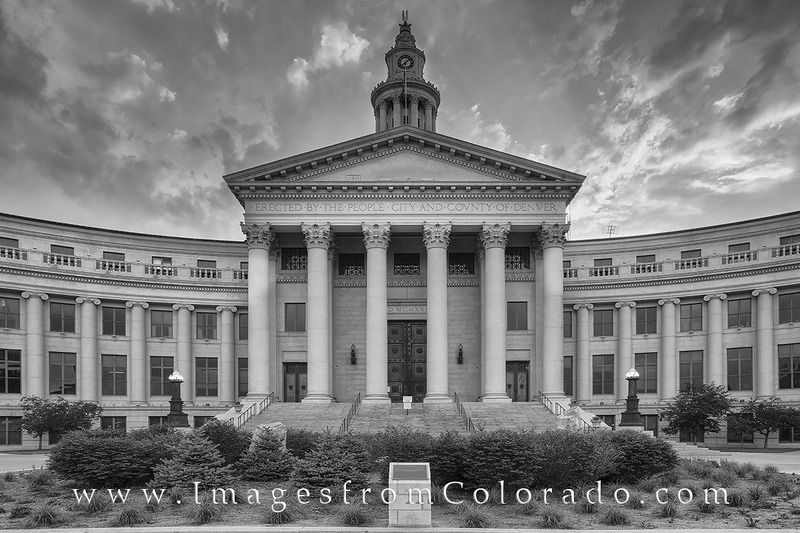 This black and white image from downtown Denver shows the City and County Building. Located in the Civic Center as part of a larger, open park, this building highlights some of the architectural beauty that resides in this area. It rests opposite the Colorado State Capitol, separated from its famous neighbor by open lawns and flower gardens. Photo © copyright by Rob Greebon.